Scottsdale Computer Repair Service has been supporting small businesses in Scottsdale as a managed services provider since 1999. No matter how big or small your IT needs are we want to be your managed it support service provider. We specialize in small business managed services, network managed services and small business IT support. If you need a local managed service provider to help support your business in any capacity, give us a call. We offer both on-site small business managed services and remote managed it support service in Scottsdale. Do you need a local managed service provider in Scottsdale, AZ? Who is Scottsdale Computer Repair Service? 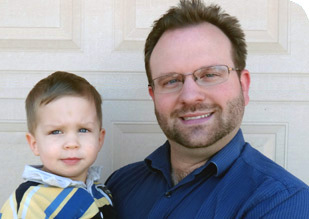 Scottsdale Computer Repair Service is owned by Matt Karls, an Electrical Engineer and a Computer Systems Engineer. Our General Manager is Chris Chelekis, a Computer Systems Engineer. We are a family owned and run computer company focused on service and quality, all our work is guaranteed. Call us if you need a local small business managed services company. 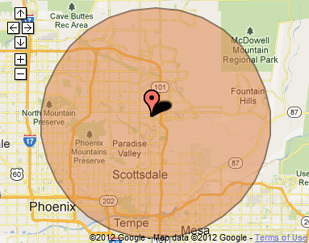 We have been servicing Scottsdale full time since 1999. What is your Service Area for Small Business Managed Services? Scottsdale Computer Repair Service has serviced Scottsdale and the entire Phoenix metro area for over a decade. Our primary on-site small business managed services and network managed service area includes Scottsdale and most of the Phoenix metropolitan area. We provide managed services to Scottsdale, Phoenix, Paradise Valley, Tempe, Chandler, Gilbert, Queen Creek, San Tan, Mesa, San Tan Valley, Chandler Heights, Gold Canyon, Apache Junction, Higley and Sun Lakes. What should someone expect that partners with you for Managed IT Services? Our mission is to fully resolve your computer problems quickly and affordably. If you want a Computer Engineer that can fix all of your IT problems instead of a computer technician, a computer geek, a computer guy or a tech that can only fix some of your computer problems; call us at (480) 240-2960.